Brands want recurring EYE BALLS and get that at every event a person does. Tired of sharp buttons, pointy lapel and safety pins ruining your garment? 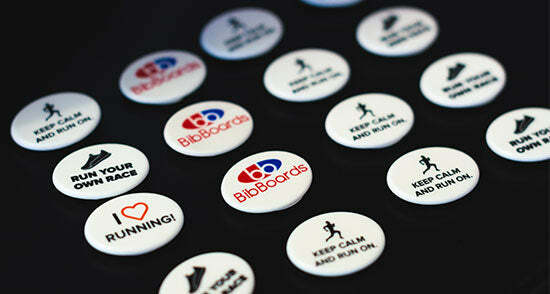 Want the newest MOST VISIBLE promotional product in endurance sports for your customers? We have PROMOTIONAL pricing discounts for ASI, SAGE and PPAI members. We are able to print and ship within 5 Business days. Please let us know if you're a member as we have special programs.